Signs warning Angelenos of the next possible "Carmageddon" will light up local freeways starting this evening. Those CMS signs on freeways will flash news about the next big closure of the 405 freeway starting tonight, and the warning message will be displayed around the clock two weeks before the closure, according to The Source (whose site is currently being buggy). The 405 freeway will be shut down between the 101 and 10 freeways on September 29 and 30, but officials want to give us plenty of heads-up like they did last time so that it will go off without a hitch—like it did last time. 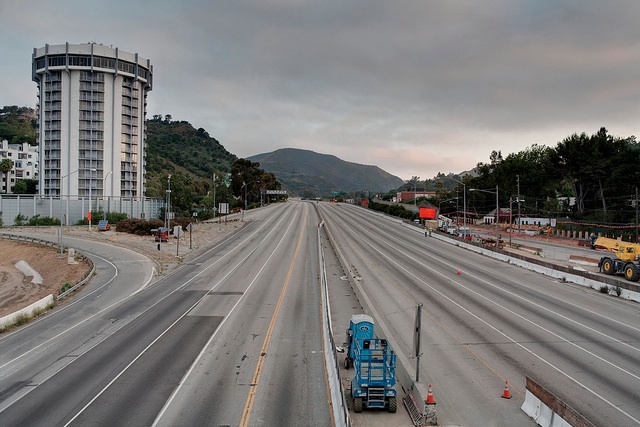 Carmageddon II: Can L.A. Survive Another 10-Mile 405 Freeway Closure?